In a few short hours, 2018 will be nothing more than a memory, as we welcome in 2019. I would not go as far as a distant memory or even an ugly memory. Just a memory. While 2018 was not all good it was not all bad either. It will be a memorable year, just the same. I will say this about the past year, I learned a lot about writing, the craft and how to improve upon the craft of story telling. This learning is what is driving me forward to continue on to next year. As much as I learned about writing and shared it with all you, there has also been some good things that came this past year, and there has been some heart ache this past year. Heart ache that was not necessarily that came into my view or rather dreams of writing, but on the personal side, which I am still trying to come to terms with. Let’s face it there are some heart aches that even we writers keep to ourselves and have to say at the end of the day there are no words to express the grief that we are feeling. That is how much this grief is personal for me. But besides all this, in the past year we indie writers were seeing our community being torn apart by some ugly business. Frankly, in part just did not need to happen, but it did and in part it has cast a shade upon our community. Granted, in any community that we are part of there will be some sort of drama, but this drama goes beyond regular drama and was more like a war was brewing. Let’s hope in the coming year, there is less drama and we can manage to rebuild our community and put the pieces back together. This should a resolution for the community as a whole: put the community back to where it was before #cockygate. Speaking of resolutions, if your goal next year is to write then I am happy to say that you are not alone. If you are not putting writing more as one of your resolutions then that is fine as well. But going back to the later, did you know there was a thing called Januwrimo? Well, if you have not, than you are not alone for I did know that this was a thing either. I guess it is similar to NaNoWriMo, but instead of November it’s done in January. I totally agree with this idea, if you have writing more as one of your new year’s resolutions. Just like NaNoWriMo, where I declared my project, I am going to declare my project there, and that is to work on Ravages of Time. Yes, I am picking the second draft of Ravages of Time as my Januwrimo project. Granted, I only heard about this like yesterday, but I was like sweet, I can work on Ravages of Time and work on my resolution at the same time. Killing two birds with one stone. Oops guess that cannot be said anymore, sorry PETA, put it’s a figure of speech. Simply put there is a lot being put on the young shoulders of 2019. There is a feeling of real optimism, which is great. Granted, we all feel this way when a new year starts, but this time it feels different. It feels as if the heaviness of 2018 is being taken off of us and a new page is turning. A page that holds promise and hope. It’s like we were drowning and now we can come up for that long awaited breath. It feels fantastic. Of course, as writers we should be being this way, for a new year means that we have another year to hone in on our craft. Set the course to learn new things and to experiment. Yes, we should be experimenting what we can do with words that we have in our vocabulary to draw out images. Images that either have been done before and needs new life put into it, or images that we have worked on before that were not quite write. No matter where we are on our writing journey we should have one resolution in mind that is to improve on our craft. Yes, even this is a goal of mine. In the past year as I look back, I feel that my ability in using words to tell a story has improved. But of course as I work on my writing journey, with each project that I take on, is a new step forward to creating something. Yes, I am working on past projects, and that’s okay. Every one of us, writers take on a different view, such as what you write in the past should be left behind and never looked at again. Where as I take the approach of what you wrote in the past should be accepted for it is and should be looked as a mile marker that shows how far you have come until now on your journey. It’s part of your journey and it should be accepted as such. But aside from all of that, I have plans, dreams and goals for the next year. These include everything from what I want to accomplish as a writer, as a reader, and as a business person. I want to help others, which has always been a goal of mine on this site, which I have stated from the beginning and I continue to strive for every time that I post. 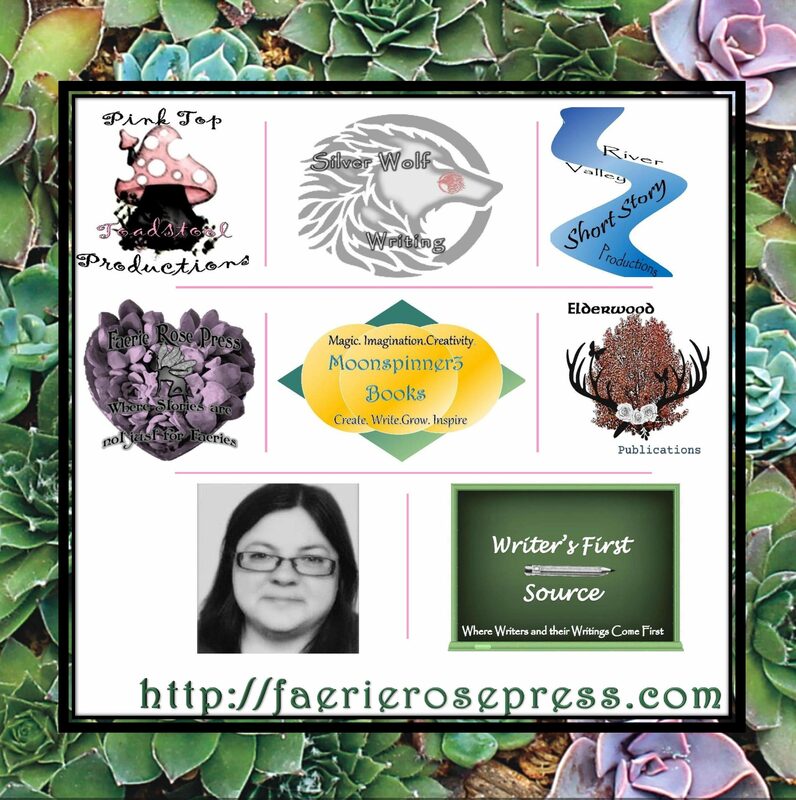 Even if that post is just giving an update on what I have going on here at Faerie Rose Press. As I have posted in the past month on here, there are things that I want to improve on, and there are things that I want to strive for in the new year. Some of which is to tell more stories about what inspires me as far as a story that I’m working on. I want to share knowledge that I have not yet shared before with all of you, but has been a work in progress for me. I hope that you will all stay tune to see what I am up to next year. There is one more piece of business that I must include in my final post of 2018. Thank you to all of you that have come here to see what I am up to, what advice I have to give, and anything else that I have posted on writing. I could not do this with out all of the support that you give. I feel that all of you, my followers are part of my community, and if I have not said that before, I am sorry. But I want you all to know that you are apart of something, and it means the world to me to have your continued support. I hope that you all have a happy new year, and I hope to see you in 2019. Happy writing, happy creating!